[110 Pages Report] The global SMS firewall market size is expected to grow from USD 1.73 Billion in 2017 to USD 2.82 Billion by 2022, at a Compound Annual Growth Rate (CAGR) of 10.36%. SMS firewall solutions help Mobile Network Operators (MNOs) and SMS aggregators to protect and block illegal SMS traffic. Nowadays, telecom operators are receiving large volumes of spam messages, which will negatively impact the quality of service and block the network bandwidth. SMS firewall solutions help telecom operators to regain their revenues which have declined due to Over-the-top (OTT) players. These solutions also provide benefits in terms of reduced operational costs and enhanced customer experience. The objective of the report is to define, describe, and forecast the global SMS firewall market on the basis of SMS types, SMS traffic, messaging platforms, and regions. The report also provides detailed information about the key factors influencing the market growth (drivers, restraints, opportunities, and challenges); tracks and analyzes the market scenario on the basis of technological developments, product launches, and mergers and acquisitions; and forecasts the market size of the market segments with respect to the 5 major regions: North America, Europe, Asia Pacific (APAC), Middle East and Africa (MEA), and Latin America. The base year considered for the study is 2016, and the forecast period considered is 2017–2022. After arriving at the overall market size, the total market was split into several segments and subsegments. The figure given below depicts the breakdown of the primaries on the basis of company, designation, and region. The major vendors in the SMS firewall market are AMD Telecom S.A. (Greece), Anam Technologies (Ireland), Cellusys (Ireland), Mahindra ComViva (India), SAP (Germany), Tata Communications (India), BICS (Belgium), Infobip (UK), Omobio (Sri Lanka), Route Mobile Limited (India), Symsoft (Sweden), Syniverse Technologies (US), AdaptiveMobile (Ireland), Twilio (US), tyntec (UK), Cloudmark (US), Global Wavenet (Australia), Mobileum (US), NetNumber (US), Openmind Networks (Ireland), Tango Telecom (Ireland), TeleOSSco Software Private Limited (India), Defne (Turkey), HAUD (Malta), Monty Mobile (Lebanon), and NewNet Communication Technologies (US). The report is broadly segmented by SMS type, SMS traffic, messaging platform, and region. SMS firewall market includes SMS firewall and filtering solutions provided by vendors and companies to Mobile Network Operators (MNOs) and SMS aggregators. SMS firewall solutions proactively detect, filter, and secure illicit incoming SMS traffic. These solutions help telecom operators to regain their revenues that have declined due to Over-the-top (OTT) players, and they also provide benefits in terms of reduced operational costs and enhanced customer experience. The SMS firewall market has been segmented on the basis of SMS types, SMS traffic, messaging platforms, and regions. The Application to Person (A2P) messaging and cloud messaging platform segment is expected to grow at a higher CAGR during the forecast period. The demand for A2P messaging is increasing across various industry verticals, including banking, finance, healthcare, travel, and eCommerce. The common use cases of A2P messaging are sending alerts, notifications, and marketing messages, such as banking updates, flight alerts, One Time Password (OTP) verifications, and promotional messages. Nowadays, customers are receiving unwanted text messages, which may negatively impact enterprise business operations. Hence, enterprises are focusing on sending spam-free A2P messages to their customers. This is expected to drive the growth of the global market. The cloud messaging platform is expected to grow at a higher rate in the SMS firewall market during the forecast period. Mobile Network Operators (MN0s) and SMS aggregators are adopting cloud messaging platforms for the deployment of SMS firewall solutions. Faster time to market, lower operational costs, high scalability, and improved customer experience are some of the major benefits MNOs and SMS aggregators are experiencing through the adoption of cloud-based SMS firewall solutions. North America is expected to have the largest market share in 2017, whereas Asia Pacific (APAC) is projected to grow at the highest CAGR during the forecast period. North America has emerged as the largest SMS firewall market in terms of market size due to large-scale implementations of SMS firewall solutions by MNOs and SMS aggregators. Telecomm operators in the US and Canada are opting for SMS firewall solutions to access spam free text messages and streamline businesses operations. The growth in APAC is mainly driven by increasing adoption of A2P messages across various industry verticals, such as banking, finance, eCommerce, travel, and government. With a large mobile subscriber base and extensive geographic coverage, government authorities across the APAC countries are implementing strong rules and regulations for SMS spam traffic. This is a major factor driving the growth of the market in the APAC region. Growing security and privacy concerns across the globe, stringent regulations, increased adoption of A2P SMS, and growing focus on preventing revenue loss due to grey routes are the major factors that are driving the adoption of SMS firewall solutions. However, lack of awareness, operators’ focus on quick Return on Investment (ROI), and the vulnerabilities in the existing signaling systems are acting as the challenges in the adoption of SMS firewall solutions. 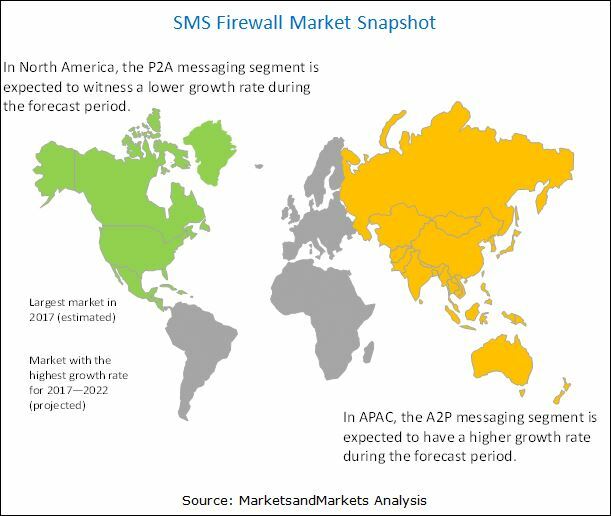 The key players in the SMS firewall market include AMD Telecom S.A. (Greece), Anam Technologies (Ireland), Cellusys (Ireland), Mahindra ComViva (India), SAP (Germany), Tata Communications (India), BICS (Belgium), Infobip (UK), Omobio (Sri Lanka), Route Mobile Limited (India), Symsoft (Sweden), Syniverse Technologies (US), AdaptiveMobile (Ireland), Twilio (US), tyntec (UK), Cloudmark (US), Global Wavenet (Australia), Mobileum (US), NetNumber (US), Openmind Networks (Ireland), Tango Telecom (Ireland), TeleOSSco Software Private Limited (India), Defne (Turkey), HAUD (Malta), Monty Mobile (Lebanon), and NewNet Communication Technologies (US). 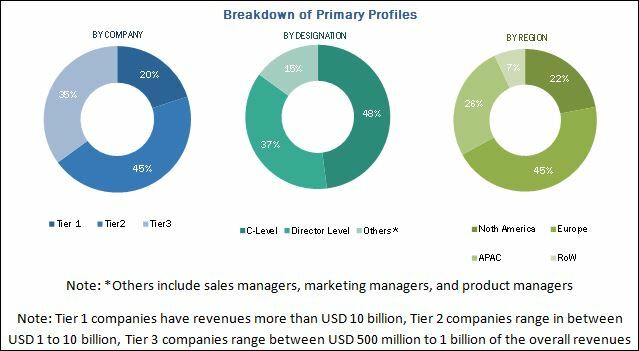 These players have adopted various strategies such as new product developments; mergers and acquisitions; partnerships, agreements, contracts, and collaborations; and business expansions to cater to the market.